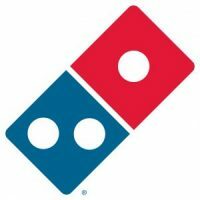 Domino’s has retained Hanold Associates for their Executive Vice President & Chief Human Resources Officer (CHRO) search, based in Ann Arbor, MI, and reporting to CEO, Ritch Allison. Jason Hanold, Keri Gavin, Ashley Schiele and Sonia Nagra are leading the search. Started in Ypsilanti, Michigan, by brothers Tom and James Monaghan in 1960, DomiNick’s eventually turned into Domino’s after Tom Monaghan bought his brother out of the business for the simple trade of a 1959 Volkswagen Beetle. As of 2018, Domino’s is the largest pizza seller in the world and the seventh largest global fast food chain with more 15,900 locations in 85 different international markets. Stores are mostly franchises (93% in the US, owned by 800+ franchise owners), with Domino’s owning and operating about 400 stores. From their ‘Heat Wave’ hot bag in the late 1990’s to testing autonomous self-driving delivery cars in 2017, Domino’s has famously stayed on the forefront of technology. They rolled out online ordering in 2007 and their now-famous pizza tracker to monitor order status in 2008. Domino’s was smart to invest in their online capabilities, as the company currently receives around 65% of its orders through digital channels. Reporting to the CEO, the CHRO will be a crucial member of the executive leadership team leading all talent functions. This business-first HR executive will have subject matter expertise across all aspects of Human Resources, including recruiting, organization design/effectiveness, training and development, change management, compensation and benefits (including executive compensation), inclusion/diversity, employee relations, and HR systems and processes. Domino’s aspires to become a $25B global business by 2025, almost doubling where it ended 2018 ($13.5B). This is following the last decade of industry leading growth where US store volumes have doubled and its international business just completed its 100th consecutive quarter of same store sales growth. Like any fast-growing company, their current people practices must be re-examined to ensure they support these aggressive enterprise goals. The new CHRO must be excited for this challenge and to partner with the Domino’s management team to enable the organization to achieve its vision through innovative and sustainable people practices.